Do You Know Why Your Oral Health Care Matters? Poor oral health care has been linked to poor general health. A link has been found between poor oral health care and diabetes, obesity and heart problems such as stroke. 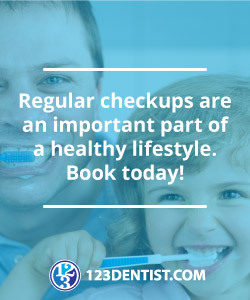 Keep your smile – and your whole body – happy and healthy with regular cleanings at Middlegate Burnaby Dentist, your Burnaby dentist. If your oral health care routine is in top shape, you may only need to come into our Burnaby dental clinic every 6 months for a dental cleaning appointment. If your teeth are prone to cavities, dental sealants may help you in the fight against bacteria and keep your teeth strong and healthy. Dental sealants are a type of clear plastic coating that fill the grooves in your teeth where plaque tends to deposit. Sealants are painted on at our Burnaby dental office and hardened with a special, harmless high intensity light. Contact us today to protect your smile and keep on smiling brightly!